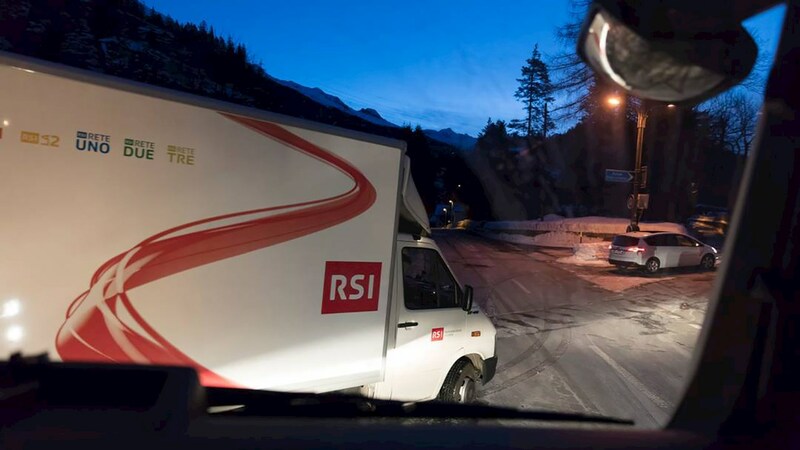 As a Swiss public-service company, RSI produces and distributes radio and television programs over the entire territory of the Confederation through three radio networks, two TV channels and a wide multimedia offering. Outside the studio, RSI must be able to broadcast major events, live on location, such as the Film Festival in Locarno, or at the site of a natural disaster, like a landslide or flood. It is therefore crucial for the company to be able to arrive and transmit reliably from locations wherever events of journalistic relevance occur. This often means moving away from the television studio and out into mobile production units. From here, the flow of communication with the studio must be coordinated: the images, the audio, their editing and transmission, as well as live connections. In these cases, both the presence and the reliability of the power supply is the key for RSI, providing them with the assurance that they will be able to disseminate information to the public rapidly. That is why the company turned to ABB for a tailor-made solution. In the event that the local public grid is not present or is interrupted, ABB has fitted RSI’s mobile unit 1 with two PowerValue 11 RTs uninterruptible power supplies of 3 kVA each. These can be equipped with up to four battery modules. The very compact and configurable technology of the PowerValue 11 RT not only allows great flexibility in the design of the mobile unit’s load capacity but also offers an excellent weight/power performance ratio for the entire system, ensuring the best operating performance of the vehicle. ABB engineers went even further, equipping the architecture with "intelligence" as well: An automatic power-off function of the PowerValue 11 RT allows the system to shut down in a programmed manner from the moment it stops working on the mobile unit. This function protects the autonomy of the batteries and is only initiated if the vehicle’s power needs (preset by the user) are otherwise ensured. With this solution, ABB guarantees the RSI mobile unit has power anywhere and at all times. In addition, thanks to the double conversion technology, the input power supply is constantly modulated a huge benefit during unfavorable conditions as voltage peaks are eliminated, improving the quality and continuity of the broadcast for viewers.